The Palm Springs International Film Society embraces both artistic and public service goals to enrich, educate, entertain and stimulate cultural dialogue. The Film Society produces The Palm Springs International Film Festival (#PSIFF17) every January, and Palm Springs ShortFest in June, which besides being a large short film festival and market in North America, is also an Oscar®-qualifying event. Through these objectives, the Society aims for a leadership role in providing a forum for multicultural exchange in the Coachella Valley and beyond. The PSIFF (#PSIFF17) Opening Night Gala film is ’The Sense of an Ending,’ with Jim Broadbent and Charlotte Rampling, directed in the UK by Ritesh Batra. PSIFF has planned for a number of special events to be part of the festival which runs through January 16. PSIFF’s annual Black Tie Film Awards Gala begins with pre-dinner cocktails, dinner and awards ceremony, to raise more than $1 million in funding for the Palm Springs International Film Society annually. A recent addition to the Festival, Book To Screen is a Festival sidebar with a focus on process in which literature inspires motion pictures. Over two-days Book To Screen will field symposium panels, discussions, and screenings. After a first day of screenings, a day-two symposium features conversations with an array of writers and screenwriters exploring the push-and-pull between the literary and cinematic worlds. This year, two specially themed movies will be paired with a culinary treat in one of Palm Springs’ finest restaurants for the Festival’s “Dinner and a Movie” event. 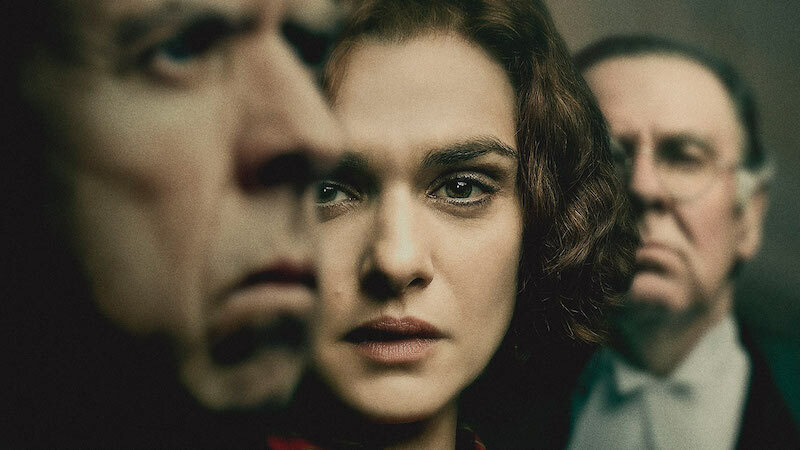 This year’s Eyes on the Prize: Foreign Language Oscar Directors in Discussion, will be moderated by Scott Feinberg. Most fun of all, PSIFF hosts several themed parties, including: French Party, Awards Buzz Party, Telefilm Canada Party, Gay!La, After Dark Party and World Cinema Party. CES is the annual tradeshow for consumer technology and among industry observers is known to be America’s largest annual tradeshow of any kind. 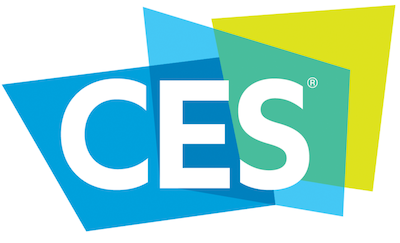 CES is produced by the Consumer Technology Association, the trade association promoting growth in the consumer technology industry. The Consumer Electronics Show is not open to the general public. Attending means being affiliated professionally with the consumer technology industry. All profits from CES are reinvested into industry services, including technical training and education, industry promotion, engineering standards development, market research and legislative advocacy. Covering practically every aspect of the consumer technology industry, over 2,500 exhibitors descend on las Vegas to showcase the latest innovations in 15 product categories. Conferences play a big role in the CES experience. This year, Keynote addresses opening day Keynote will be delivered by Jen-Hsun Huang of NVIDIA. On following days, expect to hear from Gary Shapiro, CTA; Richard Yu, Huawei; Barry Diller, IAC/Expedia; Michael Kassan, MediaLink and others. Among conference tracks, some popular themes planned include: BeautyTech Summit, Broadband, C Space Storytellers, Content and Entertainment, Digital Hollywood, Entertainment Summit, Sports Business Innovation, StoryTech Show Floor AM Briefings, Virtual Reality: The Future is 360, Wearable Tech Summit and more. In particular, C Space Storytellers, presented by CTA, examines brands, entertainment and technology, and leveraging emerging technologies to enhance the brand narrative. And since this is Las Vegas, parties and networking receptions do play a facilitating role at a convention the magnitude of CES. At a C Space Opening Reception, January 4, influencers in media, marketing and entertainment gather at this SoCal-inspired venue for a planned premium open bar, hors d’oeuvres and a raw bar crafted by a celebrated chef. Following this, but on the same day, the MediaLink CES Kick-Off Party will be an invitation-only industry event attended by media, advertising, entertainment, technology, and finance communities. And the National Academy of Television Arts and Sciences will be on hand January 7 to present the 68th Annual Technology & Engineering Emmy Awards from the Bellagio’s Monet Ballroom. The television industry. Companies being honored include Evertz, Telcon, Visible World, Corning, IBM Corp. and more. VR Fest is a curated, touring Virtual Reality Film and Immersive Technology Festival. VR Fest is dedicated to driving innovations in the virtual entertainment industry and to help perpetuate the art and science of the medium for both content creators and consumer audiences alike. Other day-to-day events for the three-day event which starts January 5 include: Opening Night Gala, VR Lounge and VR Arcade Exhibits, the VR Academy, an online film competition, a Closing Night Gala. The Virtual Reality Festival (#vrfest2017) is run as a community-based organization dedicated to the development and expansion of virtual reality technology for use by both studio and independent artists and their audiences. Through its live event programs, VR Fest seeks to introduce audiences to the magic and excitement of the virtual reality experience. VR Fest was originally founded December 2014 at Regal Cinemas L.A. Live, but relocated to Las Vegas in 2015 where its team joined forces with the Extreme Tech Challenge (XTC) and MaiTai Global to curate a new global VR competition and vertical prize called the Extreme Virtual Reality Challenge. VR/AR pioneers and entrepreneurs can compete for a cash prize and a chance to showcase their work at the VR Lounge on Sir Richard Branson’s private Necker Island during the XTC Finals Event. There are planned screenings, panels and the VR Lounge Nightclub Exhibit which is held at different locations along the Las Vegas Strip including: Light Nightclub Mandalay Bay, Moon at Palms Casino, Hyde at the Bellagio and Omnia Nightclub inside Caesar’s Palace. Following January’s Las Vegas event, the VR Lounge tour launches globally to various destinations starting with Sir Richard Branson’s Private “Necker Island” where VIP guests become a featured part of the Extreme Tech Challenge Finals presented by Mai Tai Global. Through its annual and touring festival programs, VR Fest will pay tribute to and honor the companies, technologists and content creators who have in the past and are currently pioneering the future of virtual reality. This year, Sundance Institute will host and showcase agenda-intended independent films at its 2017 Sundance Film Festival, with 66 films selected for U.S. Competition, World Competition and NEXT entries, as well as a selection of environmentally focused programming destined for the Festival’s The New Climate program. The Festival hosts screenings in Park City, Salt Lake City and at Sundance Mountain Resort, January 19-29. Here are the categories for the festival’s film programming this year: U.S. Dramatic, U.S. Documentaries, World Dramatic, World Documentaries, Premieres, Documentary Premieres, NEXT, Spotlight, Special Events, From The Collection, Kids, Midnight, New Frontier, Shorts. ‘An Inconvenient Sequel,’ a follow-up to the environmental documentary ‘An Inconvenient Truth,’ will have its world premiere at the 2017 Sundance Film Festival as a Day One screening. It is part of The New Climate, a program of conversations and films about environmental change and conservation Sundance has started. Al Gore, 45th Vice President of the United States, will take part in the Festival’s Power of Story panel – a collaboration between Sundance Institute and The Redford Center – on January 22, live-streamed via sundance.org. The New Climate includes 14 documentaries, short films and virtual reality experiences programmed throughout the Festival’s categories. The NEXT program category at Sundance (#Sundance) will reflect works distinguished by a forward-thinking style to storytelling, particularly where digital tech is integrated. From The Collection program category will take its viewers through classic works of indie cinema from the vaults of partnerships Sundance has with the Sundance Collection at UCLA. The New Frontier program category will feature films that reconfigure traditional storytelling, blurring the lines of film, art, and media technology, resulting in cutting-edge new media work along with panels to explore this kind of juxtaposing of cinema culture. Anyone can be considered to have their film screened at Sundance. For 2018 Festival consideration, check back at the submission area of the website during the first week of May 2017. Sundance Institute – organizer and host of the Sundance Film Festival – is a nonprofit organization dedicated to the discovery and development of independent artists and audiences. 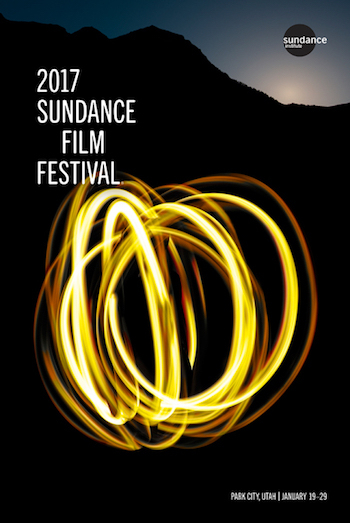 Originally founded by actor Robert Redford in the mountains of Sundance, Utah, the Institute seeks to discover, support, and inspire independent film and theater artists from the United States and around the world, and to introduce audiences to their new work through the annual festival and other programs it runs. In addition to discovering filmmaking’s newest talent through the Festival’s program of documentary, dramatic, and short films, Festivalgoers experience live music performances, panel discussions with leading filmmakers and industry figures, cutting-edge media installations, parties celebrating the Festival community, and more. Only a short distance away in Park City, the annual Slamdance Film Festival gets underway just a day after the Sundance Festival, but it has a shorter run, concluding on January 26. In operation some 22 years now, the organization now consists of the Film Festival, Screenplay Competition and Slamdance Studios. 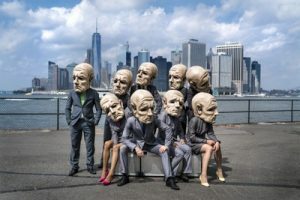 It has also created Slamdance On The Road, a traveling theatrical showcase that brings popular Slamdance films to audiences that otherwise would not have the opportunity to see them. Over time, Slamdance (#Slamdance2017) has cultivated a reputation for premiering films by first-time writers and directors working within limited budgets. Opening day film screening(s) is ‘Weather House,’ and ‘Voyage of the Galactic Space Dangler,’ by German Directors Frauke Havemann and Eric Schefter. The Slamdance Screenwriting and Teleplay Competition consists of four categories: Feature, Short, Horror and Original Teleplay/Webisode. Awards are given to the top three scripts in each category and there is also one Grand Prize for the best feature length script submitted regardless of category. Occupying the same town and being in close proximity to one another, the two festivals are likely to raise comparisons in various areas. 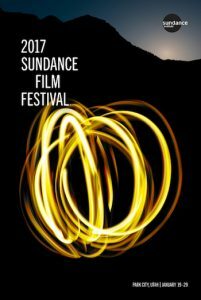 Sundance is an older and more established festival showing primarily films made by established filmmakers coming out of the mini-studio system. It shows more films and screens them at various venues primarily in the Park City area and surrounding areas. In contrast, Slamdance is in its twenty-second year, shows far fewer feature films, and about the same number of shorts. Additionally, Sundance shows a substantial number of films that already come to the festival with distribution deals in place, whereas Slamdance limits competition films to those which have not yet gotten a deal. Sundance’s main competition has strict “premiere” requirements, while Slamdance does not. Sundance’s American Spectrum section is devoted to first and second-time directors but isn’t competitive, while Slamdance’s main juried competition section that is devoted to first-time directors, with no domestic distribution, and low budgets. Of note, Slamdance programs Special Screenings, which are films that fall outside of their own stated criteria. The International Kulturbörse Freiburg is not a festival, but a trade fair where artists perform live on stage. The annually changing jury selects performers based upon the submitted applications available to them. Details for submitting an application as an artist can be found in the menu under Live Performances. Detailed information for trade fair stands by selecting Exhibitors in the menu. The annual Opening Gala IKF 2017 at Kulturbörse (#Kulturboerse) is always programmed to showcase talent and diversity. This year it will feature: Orquestra de Cambra de l’Empordá is a 13-headed Catalan orchestra; musical storytelling duo of Germany, Das Lumpenpack; 3D, new media, performance art duo, Katalin Lengyel and Szabolcs Tóth-Zs of Hungary, that form BANDART; German-speaking poetry slam artist from Berlin, Lisa Eckhart; dancers from Valencia, Spain, who also perform works on stilts, Cia Maduxia. Irreverent German comedy artist, Kay Ray, will present and Emcee the Opening Gala. The Kulturbörse showcases product from Media and Advertising industry. Event agencies, artist agencies, associations, artists, publishing houses, producers, festival organizers, and all variants of cultural service providers (stage engineering, software, decoration, advertisement, ticket systems etc.) will be available for you to get in touch with. The meeting place for the culture and events business – the International Kulturbörse Freiburg (IKF) represents: Theatre, variety and gala shows, cabaret & comedy, jazz, pop & rock, world music dance & performances, business – theatre and street theatre, agencies for artists and events, technical support and services for the events business, organisations and specialist media – the whole spectrum of the culture and events scene meets up in Freiburg at the International Trade Fair for Stage Productions, Music and Events. The European Radio Show and the Radio 2.0 Conference are combining efforts to introduce the European Radio Show (#europeanradioshow) which will be completely devoted to the future of radio. Great Britain will be the guest of honor this year with conferences and workshops in English for the three-day show happening in the 19th Arrondissement of Paris. The Radio 2.0 Conference (6th edition), which traditionally occurs in October, will this year co-locate with the Radio Show on day two, January 30, for a complete day devoted to the future of the radio sector and from the digital perspective. The conference opens with an exclusive media briefing session that reviews major trends in terrestrial radio and digital audio, while also presenting the latest Médiamétrie audience studies and Kantar Media advertising investment studies revealing advances in the field. Approximately 100 sessions will be offered for those who come to the Salon de la Radio (a.k.a. European Radio Show) seeking to expand their knowledge and learn about new development prospects in radio. In 2017 one fifth of the sessions will be in English. The opening address is traditionally devoted to the radio industry of the country (this year Britain) that is the guest of honor – a topic that is developed over the course of 10 or so workshops. The role of the listener, the choice of mic, branding trends, processing the signal, the keys to successful interactivity, the issue of quotas, the audience – these are all topics planned for coverage in the form of sessions intended to generate debate and enable participants to leave with ideas and new avenues to explore and put into practice at the mic. European Radio Show will have a temporary radio station in operation to broadcast using a video feed operated by endirectv.com. The feed will also be available on the salondelradio.com site. This year, Mediameeting’s A2PRL press agency and the organization Les Voix will be lending a helping hand to the team of technicians and presenters. In 2016, for the first time, this temporary station was also broadcast live on Paris terrestrial digital radio (DAB) from the Mercuriales towers site with help from expo partner TowerCast. Entry to the Salon de la Radio is free, but this is only possible by means of pre-registration, which is essential (via european-radio-show.com). The European Radio Show is organized by Éditions HF. The above events are only a sample of what is fully listed. Complete details are on the “Calendar of Global Media and Showbiz Industry Social Networking Events” page. If you like this report and other content found on The Actor’s Checklist, please consider liking the Facebook page at this link. 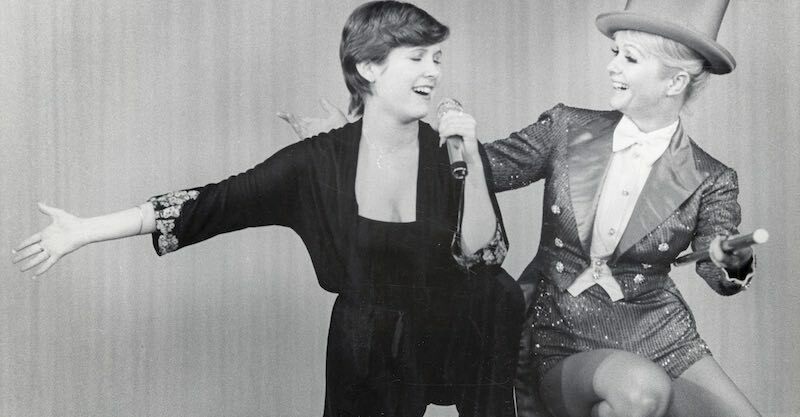 This month’s photo placement shows (starting from top of page) ‘Bright Lights,’ an HBO documentary starring Carrie Fisher and Debbie Reynolds, directed by Alexis Bloom at 2017 Palm Springs International Film Festival, PSIFF’s Book To Screen sidebar, CES in Las Vegas, Sundance in Park City, KTO Theater at Kulturbörse. As we’ve gotten past the holiday period and event planning has picked up again, here are some global calendar events for next month to be mindful of. the 11-day Santa Barbara International Film Festival opens in Santa Barbara, WideScreen Film and Music Video Festival will be in Miami, the 59th Annual Grammy Awards will be broadcast live from Los Angeles, Folk Alliance Music Conference will be conducted from Kansas City, 2017 BRIT Awards happens in London, the Saudi International Media and Broadcast Expo takes place in Riyadh, the Advanced Film Industry Expo comes to Koto, the Academy Awards will be held in Los Angeles near the end of the month.